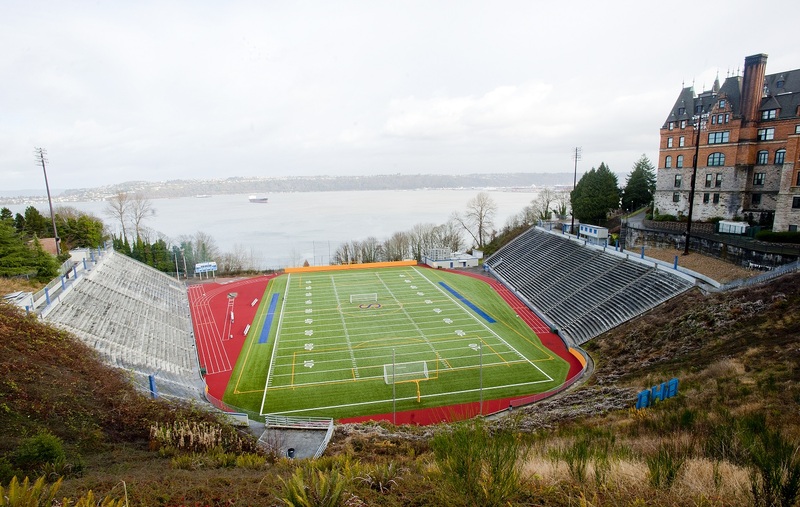 Two illustrious high school stadiums in the Tacoma Public Schools system enjoyed vastly improved sound for the 2011 football season, thanks to comprehensive distributed audio system upgrades at both locations. Lynwood, Washington-based systems integration firm Electrocom managed the upgrades, installing Technomad advanced audio loudspeakers and high-powered amplifiers among other components at Stadium High School and Lincoln High School. Electrocom handpicked the systems to replace aging horn components that were in disrepair and bleeding into adjacent neighborhoods — prompting a flurry of complaints. The stadiums’ long, rich histories are evident in their grandeur: large, bowl-shaped venue designs with concrete bleachers and expansive sideline space. This made sound improvements — especially even, venue-wide coverage — unusually challenging. 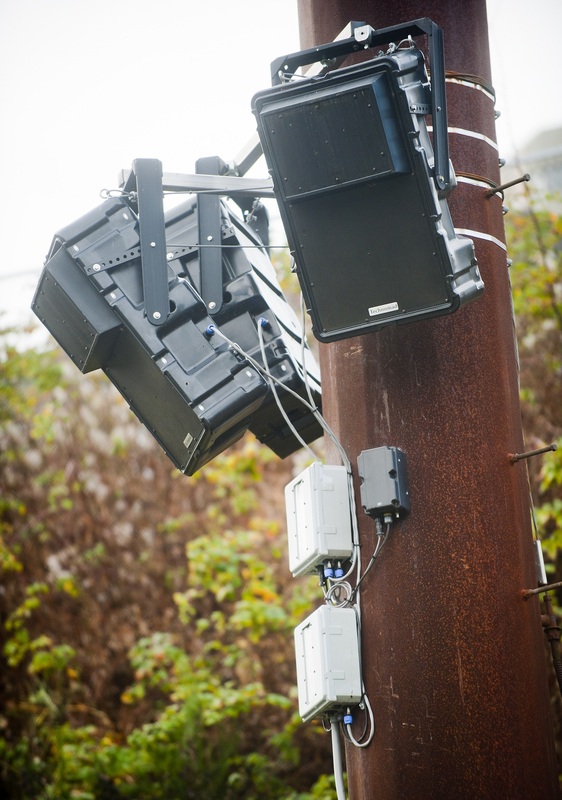 Technomad PowerChiton4 high-power amplifiers provide the wireless solution for pole-mounted loudspeakers on the visitor sidelines at each stadium. The IP66-rated amplifiers offer a waterproof design for outdoor audio, and a compact, modular form factor for greater proximity to loudspeakers. The 1600-watt amplifiers also pack plenty of power for loud stadium environments. Electrocom installed Berlin 9040 and 6040 narrow-dispersion loudspeakers at both stadiums. All Stadium High School loudspeakers mount to four large steel light poles — two above and behind the home side bleachers, and two above and behind the visitor side. Each home side pole supports two Berlin 9040 loudspeakers aimed toward the front row at a steep angle to cover the audience. One Berlin 6040 aims outward to cover the field. One visitor-side pole supports two Berlin 9040 loudspeakers powered by a Technomad PowerChiton4 amplifier and RF solution to cover one end of the bleachers. A second pole supports two Berlin 9040 loudspeakers and a PowerChiton4 for the near bleachers; and a single Berlin 6040 with a dedicated PowerChiton4 amplifier to cover an extension of the bleacher away from the cluster. Allen PoleStar mounting hardware supports all loudspeakers. A mix of Berlin 6040 and 9040 loudspeakers cover the Lincoln High School field from three locations behind the home bleachers, including the end zones for audio during track and field events. Berlin 6040s and PowerChiton4 amplifiers cover the visitor side from the front corners of the bleachers. This entry was posted in Articles and tagged Audio, ProAV, sports, stadium, Technomad, weatherproof. Bookmark the permalink.